Lostly continues his unstoppable march to the very top of the production ladder with his latest "classic in waiting" "These Streets". With gorgeous vocals performed by Roberta Harrison the song delivers intensity and that all important dance floor rush in equal measures. Lostly also includes a dub which works equally well drawing the focus onto his infectious top line. 'These Streets (Feat. 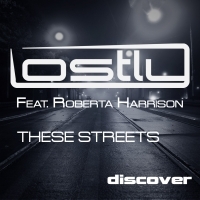 Roberta Harrison)' is available now from Beatport and iTunes.